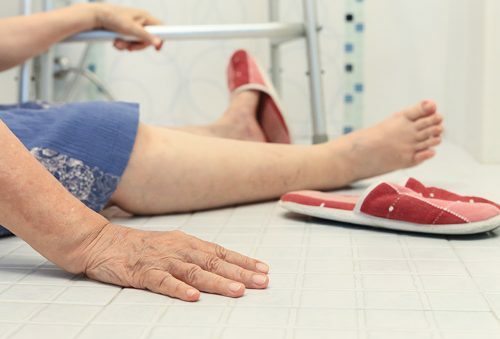 Hip fractures are a common occurrence in older adults. The Centers for Disease Control and Prevention suggests that over 300,000 Americans are hospitalized annually as a result of a hip fracture. Seniors and postmenopausal women are particularly prone to fractures, as their bones are frailer due to loss of bone density. Experiencing a hip fracture, or breaking any bone really, can severely impact an older person’s life. Decreased mobility can make them bedridden for quite some time. Being unable to perform simple tasks without outside assistance isn’t just stressful. Such loss of autonomy can make a person depressed. Also, being bedridden can increase the risk of other health problems such as blood clots and bed sores, and possibly worsen other existing medical conditions. The good news is, researchers have uncovered that those who are married in their older years may have a reduced risk of breaking a bone, compared to their single counterparts. The study found that married men over the age of 50 are less likely to fracture a hip, compared to those who are single. Among women, the risk of a broken hip was 30 percent lower. Experts suggest that older adults who live with a partner are less likely to be malnourished or depressed, meaning, they are less frail. It has long been believed that dementia increases the risk of broken bones. In fact, dementia patients are three times more likely to suffer bone fractures, compared to those without this mental disorder. In a study based on data from 4,800 older Spanish adults, the researchers uncovered that being unable to read and being depressed were the biggest risk factors for hip fracture among women. For men, the risk factors were smoking and disability. Having one risk factor for bone fracture is bad enough, but when several risk factors are combined, the risk of breaking a bone increases immensely. But even if you’re single, you can still take the necessary steps to reduce your risk of fractures. To prevent a broken bone, ensure your home is free of clutter and that carpets are well secured to the floor. Eat a healthy diet with plenty of calcium, get enough vitamin D, use hand grips, especially in the bathroom, and make sure rooms are well lit so you can see obstacles that may be in your way.